It's been few weeks since we last went fishing. With the loss of my grandmother from dad side in the afternoon followed by grandmother from mum side being warded in Changi General Hospital in the evening, things were getting hard for my family. Two weeks later, I started out working at a new company so, that causes me to rest from fishing for another week! 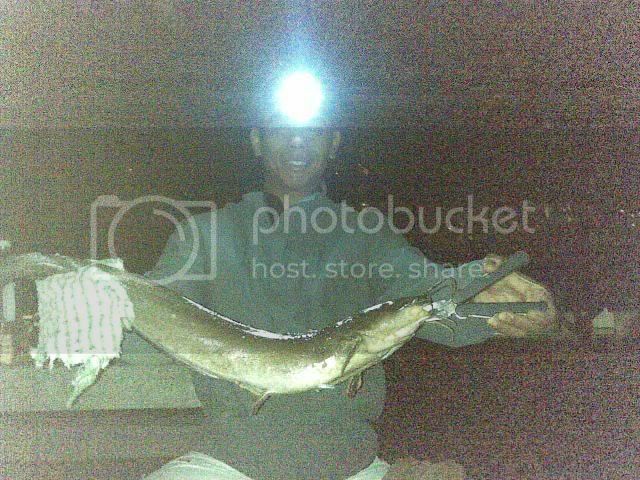 So it was on 22 May 2008, that I really called up Man Kerapu that I would want to go fishing. Time and spot were decided. Tonight outing are meant for short time which means few hours outing and try out at new spot. Simple bait were used for this test outing which is the universal bait; fresh peeled prawn. 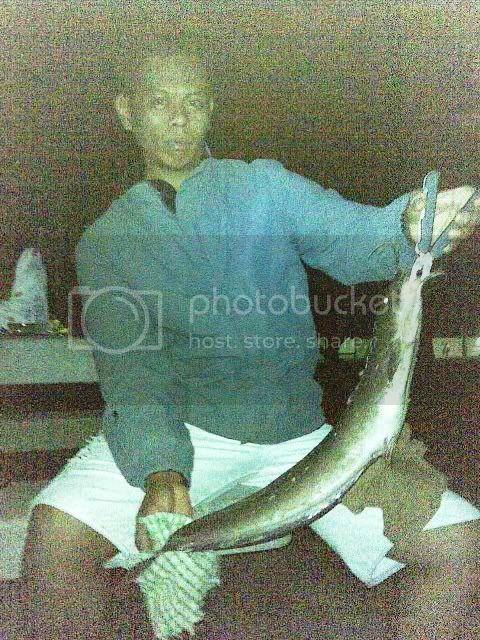 Tonight outing belongs to Man as he caught one of the biggest Gemang he ever caught.